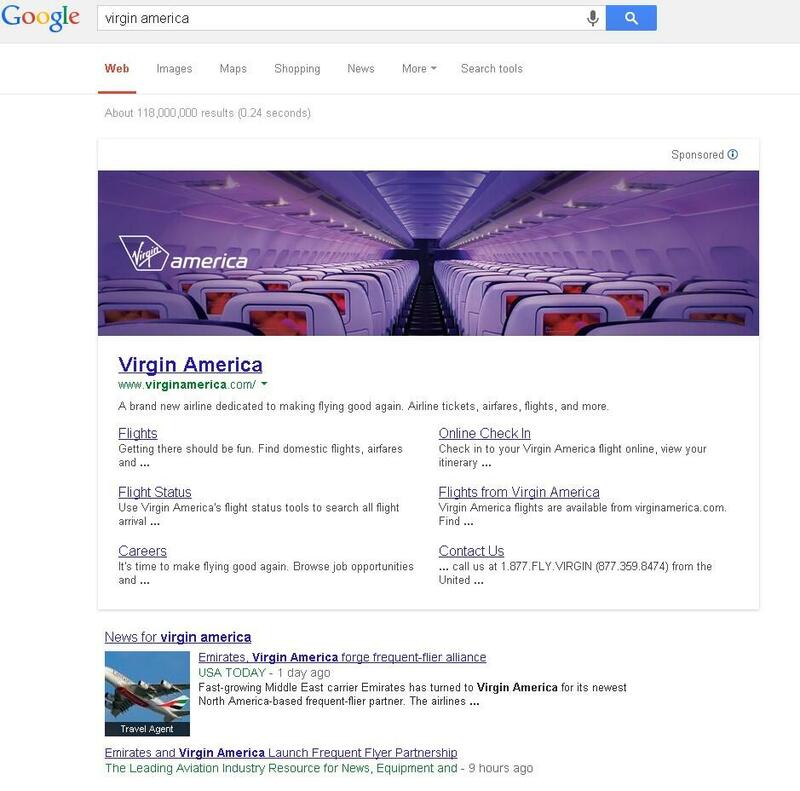 Google is testing a massive banner ad for their SERPs (search engine results page.) The can be a HUGE game changer in the display ad network. This story just broke out on twitter & blogs yesterday. I found the screen shots on twitter (see attached.) Google has confirmed that they are testing these large banner ads for specific branded queries. They are testing it with 30 advertisers, including Crate & Barrel and Virgin America. Google has always claimed they won’t show flashy ads on the SERPs, so I doubt these banner ads will be for key phrases. Initially they will be for big brands and corporate vanity. Something Samsung, Apple, or GSK can probably take advantage off.